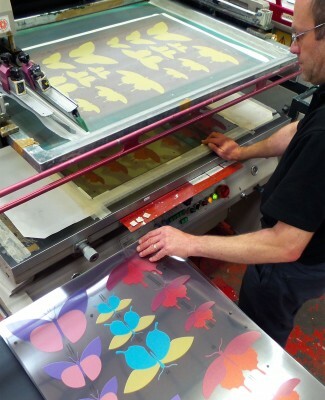 KSP Group Complete Acquisition of Buckingham Screenprint! We are delighted to announce our recent acquisition of Buckingham Screenprint Limited, formed back in 1988 by former owner Martyn Ross. Martyn has now retired and is pursuing his passion of sailing the high seas around the world and we wish him all the best in his retirement. As the owners of an already long established screen print company, we viewed the chance to acquire Buckingham Screenprint as the perfect opportunity to gain a firmer grip on the screen printing market and add to our already extensive client base who require this traditional but still very sought after specialist print service. The merger was completed earlier this year when Buckingham Screenprint was moved into our already well established 9,000 square feet Banbury based manufacturing facility. This has proven very successful and we are now able to offer an even larger wealth of knowledge and expertise to our joint client base. Over the last 15 years we have also invested heavily and embraced the current trends in digital printing and finishing equipment to enable us to serve the screen and digital print requirements and bespoke needs of clients from many different markets. Unlike many screen print companies who were quick to follow the trend of ditching screen print in favour of the new and trendy digital printing processes, KSP has continued to strengthen its position as a specialist screen printer whilst at the same time making multiple investments into digital printing and finishing to complement our screenprint facilities. Some things can only be screen printed and KSP are committed to being able to provide the very best facility to meet our client’s demands.